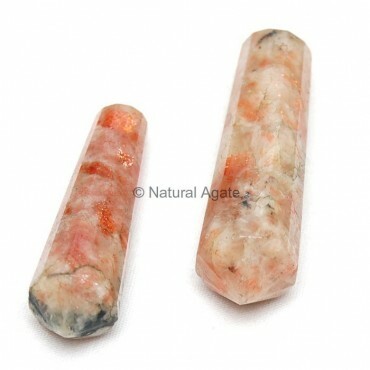 Sunstone Vogel Point is available on Natural Agate and measures 30-50mm in length. Use this Vogel point to mitigate pain. It will give you strength and courage.